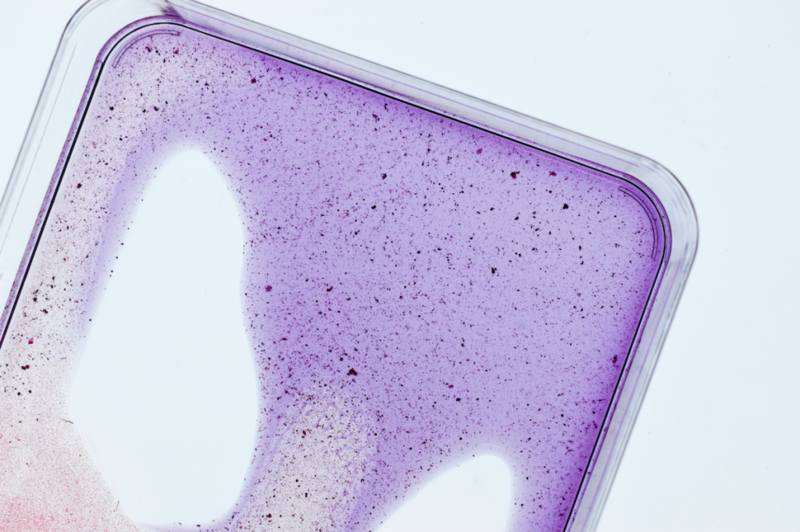 Millions of tiny blue and purple dots, like an incredibly fine mosaic of an inverted starry sky, cover the surface of a translucent piece of fabric. Both clustered and spread out the pattern is beautiful in its randomness. This intricate detailing and randomness is not the work of human hands but is, in fact, made by bacteria called Streptomyces coelicolor that dye the fabric. 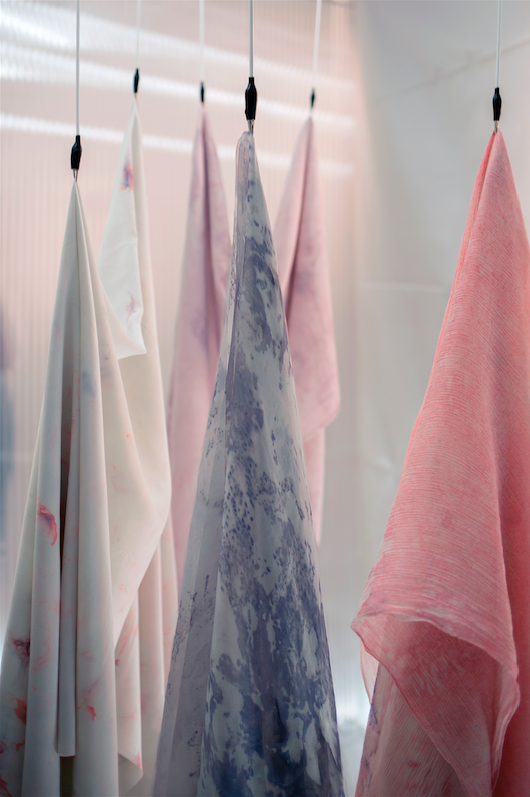 When these soil-dwelling organisms interact with protein fibers they produce a pigment that creates colorfast textile dyes without the use of chemicals and with substantially less water usage than fashion-industry textile processes. Behind this seemingly miraculous process of biofabrication is Natsai Audrey Chieza who is pioneering a revolution in the world of design systems one small step at a time through bio-driven solutions. Since 2011, Chieza has been combining the fields of science and design alongside Professor John Ward of the Department of Biochemical Engineering, University College London. 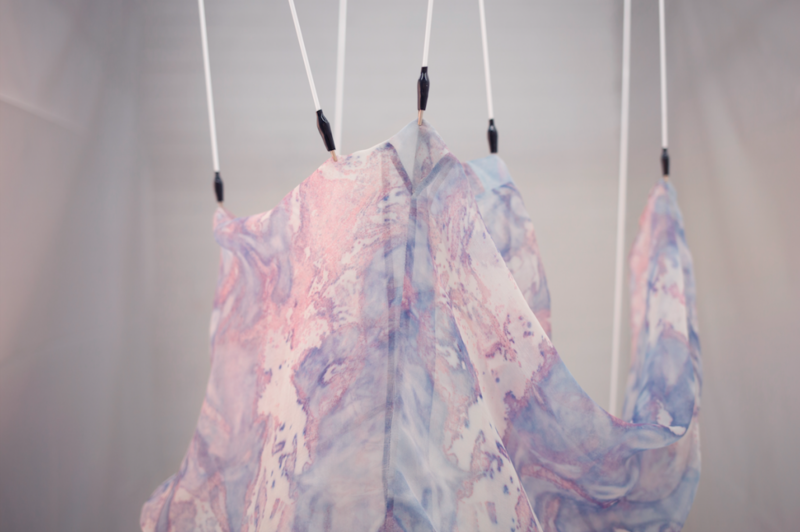 Together they have developed Project Coelicolor – a series of projects exploring the use of biopigments for textiles. Project Coelicolour is the result of nearly a decade of research “I have spent about eight years iterating on my design protocols to integrate S.coelicolor in the production of textiles, building the tools, choreographing the design methods, recording and building a real understanding of how you can co-create with living systems.” Chieza tells TLmag. 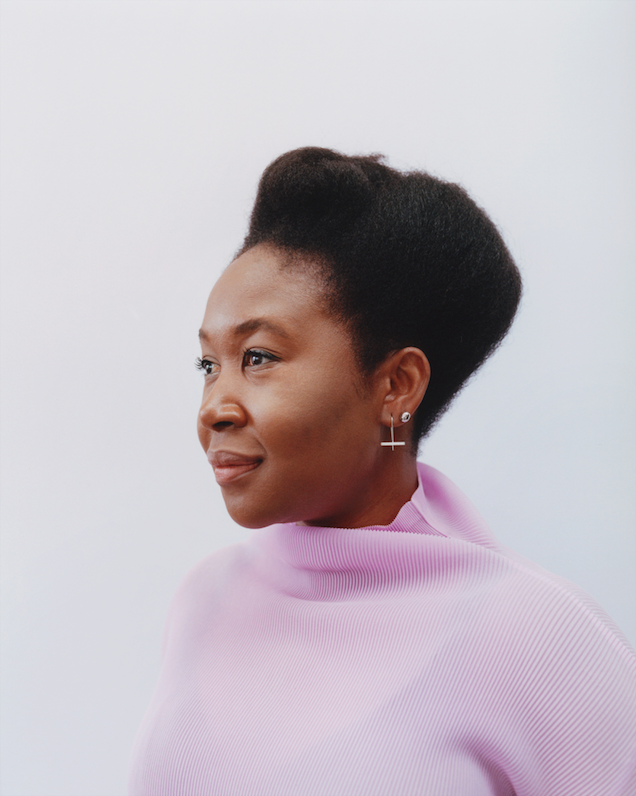 In tackling the hugely destructive environmental impact of the fashion industry – which she described in her TED talk of 2017 with poetic yet high-impact phrases such as our “denial of dependence” on fossil fuels and the West’s “privilege of not being affected” – Chieza hopes to show the huge potential of what design can be used for and how systems can be reimagined and implemented at an industrial scale. Faber Futures approaches this merging of expertise from many directions. Sometimes it is as simple as creating a glossary so that everyone understands each other and can have a conversation on the same level. Another way is through storytelling which Chieza passionately believes “is vital” to allow people to enter the complex world of science and foster education. Another space that Natsai Audrey Chieza has ventured into is the rainbow world of the Forbes Pigment Collection at Harvard Art Museums. 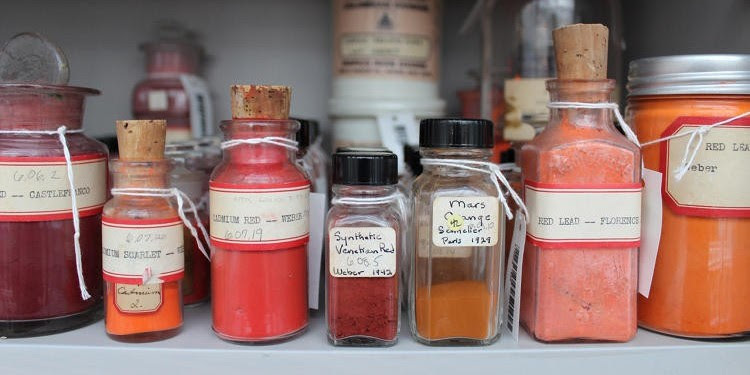 Chieza describes it as “an incredible repository of beautiful stories about the history of color and pigment as related to art and life.” The vials and vials of colored pigments that line the shelves of the collection date as far back as 1000 BC. 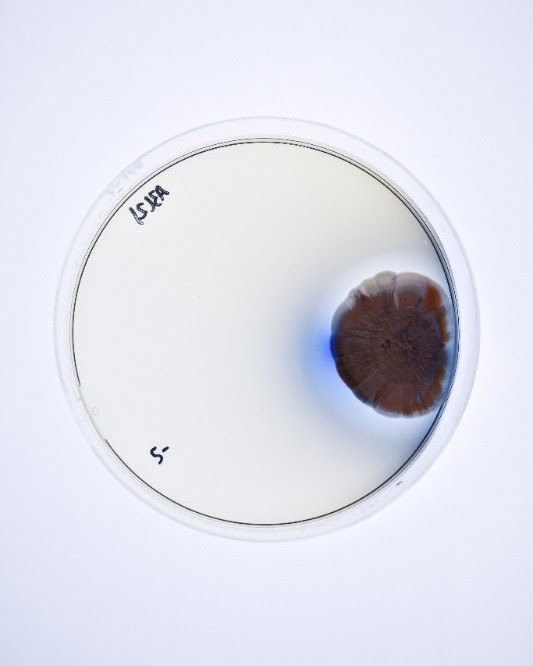 The newest addition to the library is Faber Futures’ Streptomyces coelicolor pigment. However Chieza went one step further than simply donating a pigment. 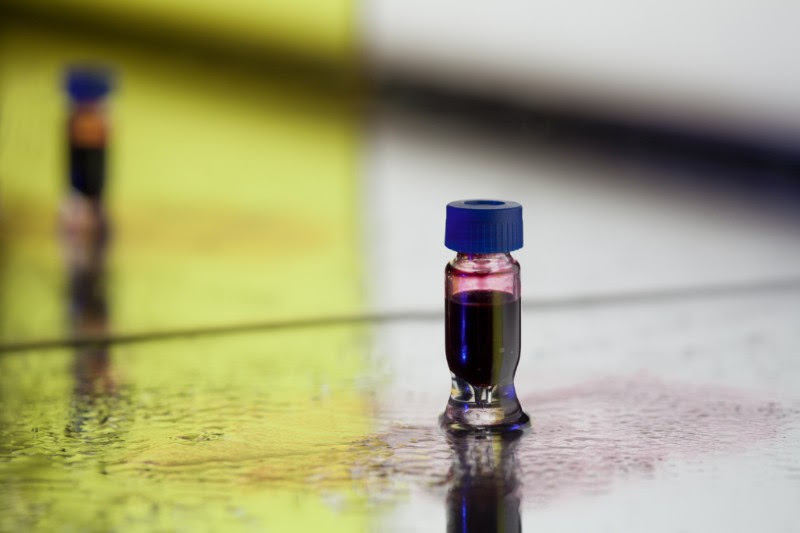 Alongside Ginkgo Bioworks, a Boston-based organism-design company, the designer also embedded the metadata of the organism and instructions about creating the color into the DNA of the pigment. By writing the “label” in “the language of life” Faber Futures is contributing to a field of research that has the remarkable potential to store the entirety of the world’s data for at least 700,000 years in the space of a small wardrobe.